As much as I hate to admit it, winter is finally here…and from what they are saying, it isn’t going to be a short one. Get ready to see snowy backgrounds for the next few months + me layering like crazy in an attempt to stay warm! This particular day looked promising thanks to the glimpses of sunshine through the clouds…however when we got outside, there were 20 mph winds, which made taking pictures challenging (to say the least). I certainly hope this isn’t an indication of how the rest of the season will be. 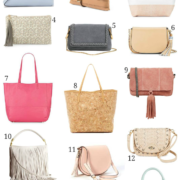 If you live somewhere that has hard winters, I’d love to hear your tips for keeping cozy & chic in the comments below! girl, i will take your snow any day over our RAIN. i am SO over it. =( i still haven't worn this coat…thanks for the reminder! Very pretty coat and necklace! love love your blazer and coat!! LOVE THE NECKLACE!GREAT WINTER LOOK!!! Still haven't gotten enough of burgundy! Also, the only tip I've got is layer! But you seem to have it pretty down. Winter's the best time to pull out all of your cozy accessories though! I live on the east coast of Canada and layers are key for winter here! As well as having cute cold weather accessories. If we do get an unusally warm day I try to do multiple outfit photos that day. Love the layering of those colors! 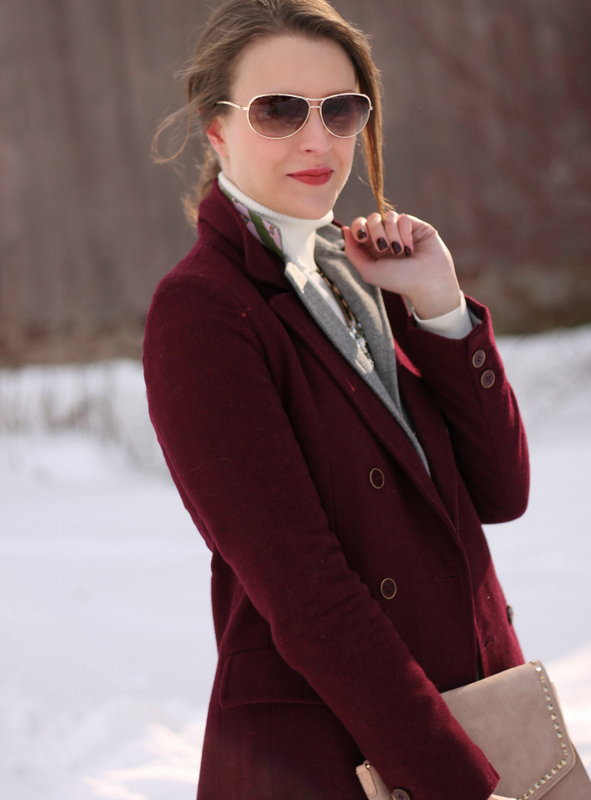 Oxblood is at the top of my favorites this winter! Oh no! Snow!! I don't know what I would do if I saw that white stuff outside my window. You still look so cute!! Chic fingerless gloves so you can stay warm and still show off your rings and manicure! I can't believe you don't love snow! I'd have figured with you living in the northeast you'd love snow. I live in northern Indiana, a few hours east of Chicago, so we gets lots of snow and wind. I like to stay warm by layering up with lots of lightweight layers made of quality fabrics (wool, cashmere . . . wool! lol!). I love your coat and necklace, beautiful! What a great find in that jacket! It fits you perfectly. Have a happy New Year and all the best in 2013!! Absolutely LOVE the coats and clutch!! Love the coat, the hue is so on trend and it looks so much nicer than f21. I just ordered that jcrew necklace last week! Im so pumped to get it! Love this look! Such gorgeous photos! I haven't been brave enough yet to venture out in the snow for photos but these are stunning. Thanks for reminding me that I really need to start layering jackets like this. LOVE the color of the top coat. Simply stunning! And mad crushing on that necklace. cute outfit. i love your red coat! Love this outfit on you and the way you layer your outfits. I love this look. I am very big on layering during the winter months. 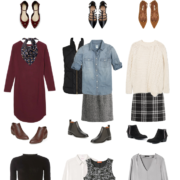 It allows you to make the most of the pieces in my closet including warm weather pieces. I sometimes thing chic and cozy are oxymorons lol. Layering and cute accessories (hats, mits, scarves, boots…) are key. For my blog, I just tough out 5 minutes of pictures without a jacket on the milder days outdoors, or begrudgingly take photos indoors in the colder days. Love the necklace! i've actually taken a blogging break because it's been so cold and I don't want to keep blogging the same outfit (boots w/jeans tucked in and cozy sweaters)I know that I always try for color, so I'm at least perked up a little! There is barely any snow in Chicago, just super cold wind! I usually find an alley to block the wind and put on my game face and take the coat off and do a speed round of photos! As you might see in some of my recent posts there is a whole lot less smiling because I'm soooo cold! Layer up and (try to) grin and bear it! 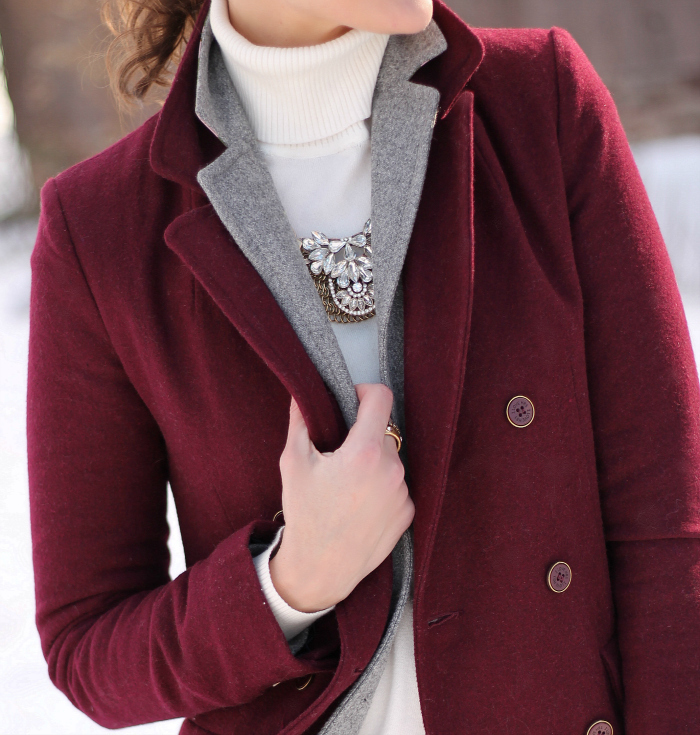 Absolutely LOVE this look — so classy and perfect for winter! When the wind is that crazy and the temps are that low, function trumps fashion. I look good when I get to where I'm going, but a HUGE coat is needed to get there!